Centricity Practice Solution is a comprehensive Electronic Medical Record (EMR), Practice Management, Population Health, and Analytics, and Connectivity solution designed to help you enhance the clinical, operational, and financial productivity of your ambulatory practice. Few practices have what they need to succeed in these changing healthcare times. GE Healthcare's innovation is combining the tools you need into a single solution. Whether you need a fully integrated EMR and Practice Management solution or the ability to share data with existing clinical or financial systems, Centricity Practice Solution connects when, where, and how you need it. Centricity Practice Solution's time saving features like customizable workflow automation help your providers get back to what you do best - practicing medicine. Find more information in the product brochure here. Centricity Practice Solution EMPA helps increase efficiency by reducing the time your practice spends on medication prior authorizations and helps enhance care quality by expediting the approval process for patients. Prevented injury and illness in Team USA athletes by customizing Centricity Practice Solution to track key data. Enhanced clinical operations and improved efficiency with interoperability across applications in the Centricity portfolio and beyond. The EMR module in Centricity Practice Solution offers secure clinical records storage, so you can capture, store, and transmit essential patient data. Quick data entry methods and at-a-glance access to patient information puts everything right where you need it. Centricity Practice Solution v12.3 is a certified ONC 2015 Edition EHR. Centricity™ Practice Solution PM module helps you streamline your billing workflow and patient management processes to achieve a more productive practice. When used with Hosted Claims Manager and A/R Accelerator, Centricity Practice Solution can further aid the process of improving business productivity and increasing revenue cycle efficiencies. 1 Source: Quality performance of health system’s in-network primary care clinics vs. peers in CPCi program within Midwestern region. Improvement attributed to team-based care delivery model and population health capabilities. How can Value-Based Care Analytics help you enhance care quality, reduce total medical expense, and improve the profitability of your business? As a primary care provider or specialist, you are focused on delivering high value care across your shared patients’ entire healthcare journey and then proving that value to payers. But without sophisticated tools to help you survive in a non fee-for-service world, it’s difficult to validate how well you’re delivering care, if your staff is excelling, and if you’re getting paid appropriately. 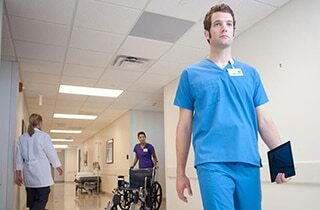 The comprehensive and sophisticated Value-Based Care Analytics component within Centricity Practice solution transforms EMR data and claims-based data into insights you can use to visualize opportunities to enhance care quality, reduce total medical expense, and more accurately document patient risk. Armed with these insights, you can maintain care quality, help patients avoid unnecessary medical expenses and improve payment capture under risk-based contracts. More easily achieve incentives – Set quality goals consistent with incentive payments, visualize progress to goals and easily report on key metrics. Reduce avoidable cost and utilization – Easily spot variability so you can investigate the causes and deliver high quality, low cost care across your business. Increase accuracy of risk-adjusted premiums – Infer uncoded conditions from EMR data so you can fulfill documentation requirements for appropriate payments. Ensure patients receive needed services – Easily identify patients with care gaps for outreach to drive up care quality and fee-for-service revenue. Better manage risk-based contracts – Leverage historical quality and cost performance information when negotiating terms. Save providers time – Reduce time spent searching for information. Access data from previous patient visits, claims, and other care settings in one view. How CPS Can Help You Excel in MIPS - from Quality Measures to Total Medical Expense? Centricity Practice Solution (CPS) is a comprehensive EMR, Practice Management, Population Health, and Analytics system that helps practices excel in MIPS and other value-based care payment models by helping practices more efficiently deliver informed care, coordinate care across teams and care settings, and reduce patients' overall medical expense. Centricity Practice Solution can help enhance quality measure performance. It can automatically track key quality metrics and for certain measures can provide clinical decision support that makes it easier to deliver high-quality care during patient visits. Centricity Practice Solution helps guide practices with tools to satisfy base measure requirements and meet goals for 2017 performance measures. A dashboard helps track performance for practices' chosen MIPS objectives and measures. Centricity Practice Solution can help you meet a number of IA measures. Centricity Practice Solution makes it easy to automatically import and exchange data with different sources, including patient portals and registries, creating alerts and notifications, and providing access to pre-designed and custom forms and surveys. And pre-validation for NCQA PCMH 2017 helps existing customers achieve full credit for the IA category. GE Healthcare offers additional Quality Reporting Service packages for a fee to help your organization successfully transition to MIPS. Centricity Practice Solution Version 12.x is PCMH pre-validated by NCQA to receive auto-credit toward NCQA's PCMH 2017 scoring, reducing your administrative burden of attaining PCMH 2017 recognition. Centricity Practice Solution offers online patient portal, secure remote clinician-patient messaging, summaries and patient reminders. Centricity Practice Solution provides collaboration tools that enable providers to exchange clinical information and coordinate care in real time and to deliver evidence-based care using guidelines to generate lists and remind patients about needed services (preventive, check-up, medications, etc.). Centricity Practice Solution provides powerful reporting on structured data, helps providers adapt workflows and add point-of-care reminders, and displays quality metrics through quality dashboards. Your orthopedic practice is under pressure like never before, with decreasing reimbursements and the shift to value-based care leading the growing list of challenges. Centricity Practice Solution is an integrated EMR and Practice Management system that helps you manage these issues throughout the patient and provider experience to enhance your clinical and financial performance. Case Study 3 - How Ortho Northeast made simple workflow adjustments that dramatically reduced cycle times and avoided $800,000 in construction costs. Struggling to keep up with growing regulatory and payer documentation requirements? Starting with rich orthopedic content that's sustainably customizable, Centricity Practice Solution's productivity tools like SimpleChart help automate data entry and documentation so you can quickly chart in your own personalized way while still meeting requirements. Caring for patients is at the heart of what you do. Centricity Practice Solution has tools to help you keep focused on patients during the visit and stay connected with them beyond the office. It also helps you collaborate with providers in other care settings to streamline follow up and education. In an era of declining reimbursements, a shrinking referral network and the shift to bundled payments, your financial performance is more important than ever. Centricity Practice Solution helps you get paid faster by streamlining payer collaboration and reducing cycle time. The Centricity Practice Solution portfolio offers advanced analytics that serve up actionable insights so you can improve financial strength. The shift to value-based care isn't a matter of when - but how. We're committed to helping your practice transform with our comprehensive Merit-based Incentive Payment System (MIPS) solution. Centricity Practice Solution includes dashboards that help you monitor and predict performance as well as in-depth educational resources. We can work with you directly to help your practice understand what it takes to succeed. The United States Olympic Committee will use Centricity Practice Solution to manage their patient population - U.S. Olympic athletes. With a patient population that is in perpetual motion-both on the playing field and off-the USOC's medical information needs are among the most demanding imaginable. On any given day, Olympic athletes are spread all around the world, training, conditioning, competing, and, occasionally, getting injured or falling ill. When that happens, effective treatment and fast recovery can mean the difference between silver and gold. Learn how The Center for Primary Care applied Population Health capabilities to add $400K of incremental revenue annually. Continual technology improvements are important to the physicians and staff at Children's Orthopaedic and Scoliosis Surgery Associates LLC, a practice that's maximizing the value of Centricity Practice Solution. Kansas City Bone & Joint Clinic's usage of Centricity Practice Solution helps boost patient throughput by almost 25%. Centricity Practice Solution A/R Accelerator helps New England Cancer Specialists increase business productivity 36% and strengthen financial performance. Learn how to optimize your MIPS score: The Merit-Based Incentive Payment System (MIPS) is intended to measure - and adjust payments based on - the value of care provided across four categories, with bonuses for meeting exceptional performance thresholds. Read this MIPS Scoring Guide from GE Healthcare to understand how MIPS scoring works and how you can optimize your MIPS score. a foundational element of a patient-focused population health program. MACRA and MIPS can be overwhelming. GE Healthcare's EMR team breaks down what you need to know and gives you helpful tips for success. Value-based care, a core tenet for federal, state, and private sector payment and delivery plans, is a strategy to reduce healthcare costs in the U.S. while improving patient outcomes. Value-based care is also one of the most disruptive forces of change to sweep over the healthcare delivery system in decades. To prepare for this new era, here are five steps physician leaders can take to ensure success with value-based care. Prevented injury and illness in Team USA athletes by customizing CPS to track key data. Learn from business office manager Joanie McKenzie how New England Cancer Specialists increased business productivity 36% and strengthened its financial performance. MACRA and MIPS can be overwhelming. 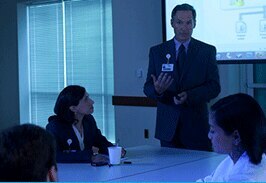 GE Healthcare's EMR team tells you what you need to know and do to achieve success. Turn what seems like a burden, into an into an opportunity. View our webinar to learn how you can optimize your performance in MACRA and MIPS. Learn from a change agent at a successful Orthopedics practice how to plan for productivity and customer satisfaction improvement throughout your organization. Watch this informative one-hour presentation with two expert speakers to learn: Why the Medicare Shared Savings Program can be advantageous and How to prepare your practice for the transition. Truly integrated electronic medical records and practice management system designed to help you build your best practice. Learn how the Centricity Practice Solution A/R Accelerator helps practices improve business productivity and increase revenue cycle efficiencies.